You Are Here: Home > How Do I Check The Coolant Level? Coolant is an essential part of a healthy car’s internal systems, and making sure they’re functioning right is important if you want to keep your vehicle healthy. If you have no idea how to check or replace your coolant levels, the experts at AutoMax Chrysler, Dodge, Jeep, Ram near Oklahoma City and Tulsa can help. Check out this quick primer on your car’s cooling system, then schedule an appointment for a check-up with one of our ASE-certified technicians today. If your temperature gauge is running hot or the car is making odd groaning or grinding sounds, you could have coolant system issues that need immediate attention. Failing to take care of your engine coolant can cause your car to overheat and even lead to the engine seizing up entirely. Park the car on a level surface and let it cool. Raise the hood and locate the radiator cap. Carefully remove the radiator cap, using a rag if necessary to help with grip. Check the fluid level. Fluid should be near the top of the radiator neck. Check the coolant overflow tank. This tank should be nearly empty when the vehicle is cool. If the fluid is low add more to the overflow tank, using a funnel if needed. If your radiator is low on fluid, but the overflow tank is full, or if you notice fluid leaking from the unit, bring it to your local service center immediately. Why Choose AutoMax for Car Service? At AutoMax our ASE-certified technicians have a single purpose; to ensure that you and your car are taken care of. We can perform basic maintenance tasks like coolant checks, brake pad replacement, or more complex repairs quickly in our state-of-the-art service center and have you back on the road before you know it. Often for less than you might expect. Don’t be caught with low coolant levels. 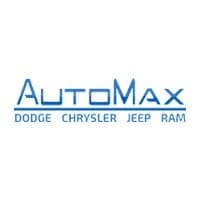 Contact AutoMax Dodge, Chrysler, Jeep, Ram at (888) 974-0688 or stop by our Oklahoma City and Tulsa-area service center at 4141 N. Harrison Ave in Shawnee, OK.